Prime Minister Binyamin Netanyahu spoke on Thursday evening with the father of the soldier who shot a wounded terrorist in Hevron last Wednesday, after the family of the soldier asked that Netanyahu do so. Shortly after the phone call, a hearing on an extension of the soldier's detention came to a conclusion, and it was decided that he would be released to an open base. In making the decision, the judge threw out the prosecution's request for seven more days in jail. The prosecutor petitioned the decision, and the soldier will be kept in a military jail overnight. "I heard the things you said and as a father of a soldier I understand the distress that you are in," Netanyahu said in the call. "Our soldiers in recent months stand with courage and firmness against terror attacks and murderers who come to kill them. They have to make decisions in real time, in field conditions, under pressure and with uncertainty." "This isn't a simple reality and I am certain that the investigation takes into consideration all these circumstances. I am convinced that it will be professional and fair towards your son." 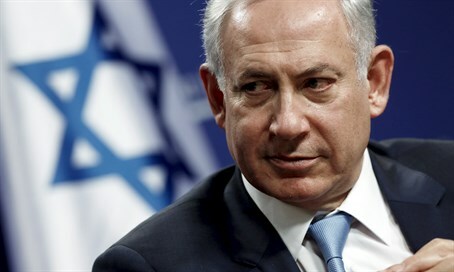 Netanyahu raised anger last Wednesday, just hours after the incident occurred, when he rushed to criticize the soldier, saying, "what happened in Hevron does not represent the values of the IDF. The IDF expects its soldiers to act with self-control and in accordance with the open-fire regulations." In his phone call with the soldier's father on Thursday, Netanyahu added that he relies on the IDF and the Chief of Staff. "I think that you also have to rely on the commanders and on the investigation. The nation of Israel has to remain united and unified around the army because we only have one army and we have many more large tests before us. I wanted to tell you that heart to heart." "All that you have to present, do so in the framework of the investigation, it is real, professional and fair," he said. "I ask you to understand that, so that you won't think for a moment that they won't give your son the most objective and fair investigation. I ask that you pass the message to the entire family." Earlier on Thursday, a third hearing was held for the soldier in which the military prosecutor requested to extend his detention. Significantly, the prosecutor dropped the murder charges against him, instead accusing the soldier with manslaughter. During the hearing an officer in the army's Criminal Investigations Department (CID), and backed the soldier's version of events by confirming there were concerns the Arab terrorist had a bomb belt hid on his body at the time the soldier shot him.